But the hospitality sector chafes at the idea of requiring it to build affordable housing units or pay $3,806 per guest room. Portland officials may tap into the city’s rapidly growing supply of hotel rooms to help pay for affordable housing. But the idea is drawing criticism from some in the hospitality business who say they are being unfairly singled out. City councilors are scheduled to vote Wednesday on a proposal to require hotel developers to either build housing units for people earning less than median wages or pay a fee of $3,806 per guest room. The money from fees would go into a city fund used to help build housing for Portland workers. The proposal comes after hundreds of hotel rooms have been created in the last five years. Those developments wouldn’t be affected. However, city staff members said they expect the number of hotel rooms to increase by another 23 percent in the coming years. And two hotels currently in the pipeline would need to comply with the rules, which apply to projects pending since Sept. 26. Levine estimated that 50 U.S. cities, including Boston and Seattle, have some sort of affordable housing fee for new commercial developments. However, Portland would be one of the few, and perhaps the only city, to specifically target hotels. “Given Portland’s strong hospitality sector we thought it made sense to focus on that subsector only, and to provide the primary option of producing the units,” he said. Jim Brady, a prominent Portland developer, said the new fee would add more than $500,000 in costs to a hotel project that he’s proposing at the corner of Center and Commercial streets. Brady said the city appears to be blaming hotels for a chronic shortage of affordable housing in Portland. The proposal, which would apply to projects that add 10 or more hotel rooms over a five-year period, would effectively add new hotels, motels and inns to the city’s existing inclusionary zoning ordinance, which requires housing developers to build or help pay for dwellings that are affordable to middle-income earners. The proposal affecting hotel developers is aimed at creating housing affordable to lower-income workers who fill jobs in the hospitality industry, according to the city. Hotel developers would have to create one unit of low-income housing for every 28 hotel rooms. Developers would have to price those units so they’re affordable to households earning up to 80 percent of area median income. Affordable means that a household is not spending more than 30 percent of its income on housing expenses. As an example, a single person earning 80 percent of the Portland area’s median income would make $50,350 a year and be able to afford a maximum monthly rent of about $1,250 a month. If a developer chooses not to build the housing, the developer would have to pay $3,806 per hotel room into a city fund used to help create affordable housing. Portland staff developed the proposal at the request of the council’s Housing Committee, which voted to send the plan to the full council. That fee is based on a study conducted by the Greater Portland Council of Governments that sought to identify the affordability gap between income of a low-wage worker versus the cost of housing in the city. And, according to a report from the city’s Planning Board, which supports the proposal, the new requirements are justified, because hotels increase demand for low-wage labor. The board said that an estimated 80 percent of newly employed households in the hospitality industry cannot afford to rent housing in Portland. That means they either pay too much of their income to live near their workplace, or must commute to work from another community and spend more of their income on transportation and parking. HospitalityMaine, which represents innkeepers and restaurant owners, said the proposal does take into account the economic contributions of the hotel industry to the city and the region. 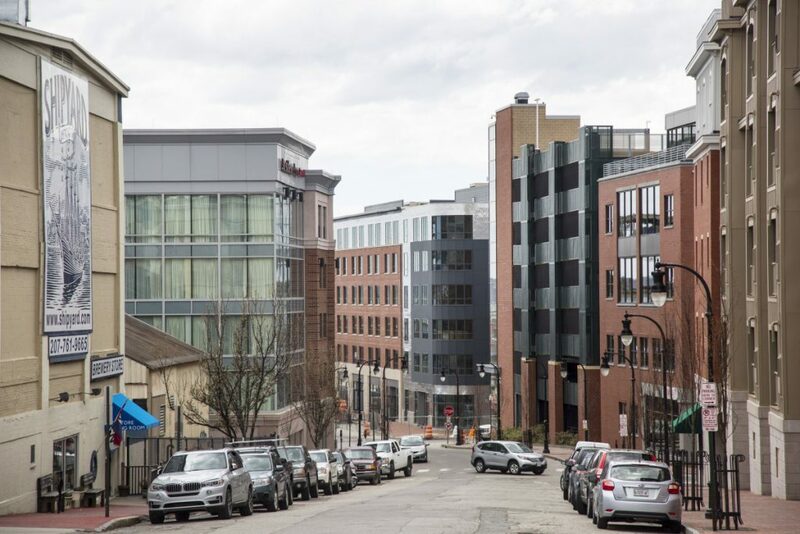 “We do believe that there is a need for affordable housing in the city of Portland, but feel that this unprecedented move of isolating the hotel industry and assessing a sizable linkage fee is too much,” said Greg Dugal, HospitalityMaine’s director of government affairs. The proposed rules will not affect those rooms. Only projects approved after Sept. 26 would be covered. 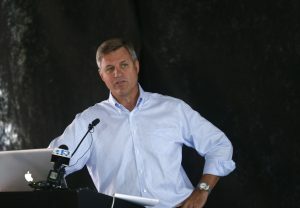 Levine said there are currently two hotel projects that could be affected: A 135-unit hotel proposed at the corner of Center and Commercial streets by Brady’s Fathom CC and a 128-room hotel proposed at Fore, India and Middle streets by Florida-based developer Richard Mielbye of the Miel’s Development Group. Levine said those proposals are in flux and currently total 261 rooms – two rooms fewer than originally proposed. Levine said each of those projects would be required to create five low-income rental housing units. If developers take advantage of the buy-out option, more than $990,000 could be infused into the city’s housing trust fund, which is used to subsidize affordable housing projects. Mielbye could not be reached for comment Tuesday.